We present a detailed evaluation of wind energy density (WED) over Portugal, based on the EURO-CORDEX database of high-resolution regional climate model (RCM) simulations. Most RCMs showed reasonable accuracy in reproducing the observed near-surface wind speed. The climatological patterns of WED displayed large sub-regional heterogeneity, with higher values over coastal regions and steep orography. Subsequently, we investigated the future changes of WED throughout the twenty-first century, considering mid- and end-century periods, and two emission scenarios (RCP4.5 and RCP8.5). On the yearly average, the multi-model ensemble WED changes were below 10% (15%) under RCP4.5 (RCP8.5). However, the projected WED anomalies displayed strong seasonality, dominated by low positive values in summer (< 10% for both scenarios), negative values in winter and spring (up to − 10% (− 20%) under RCP4.5 (RCP8.5)), and stronger negative anomalies in autumn (up to − 25% (− 35%) under RCP4.5 (RCP8.5)). These projected WED anomalies displayed large sub-regional variability. The largest reductions (and lowest increases) are linked to the northern and central-eastern elevated terrain, and the southwestern coast. In contrast, the largest increases (and lowest reductions) are linked to the central-western orographic features of moderate elevation. The projections also showed changes in inter-annual variability of WED, with small increases for annual averages, but with distinct behavior when considering year-to-year variability over a specific season: small increases in winter, larger increases in summer, slight decrease in autumn, and no relevant change in spring. The changes in inter-annual variability also displayed strong dependence on the underlying terrain. Finally, we found significant model spread in the magnitude of projected WED anomalies and inter-annual variability, affecting even the signal of the changes. The authors wish to acknowledge the projects SOLAR (PTDC/GEOMET/7078/2014) and FCT UID/GEO/50019/2013 - Instituto Dom Luiz, financed by Fundação para a Ciência e a Tecnologia. We acknowledge the World Climate Research Programme’s Working Group on Regional Climate, and the Working Group on Coupled Modelling, former coordinating body of CORDEX and responsible panel for CMIP5. 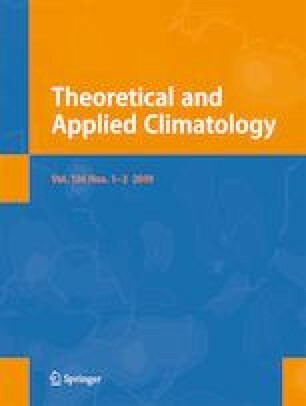 We also thank the climate modeling groups (listed in Table 1 of this paper) for producing and making available their model output. We also acknowledge the Earth System Grid Federation infrastructure an international effort led by the U.S. Department of Energy’s Program for Climate Model Diagnosis and Intercomparison, the European Network for Earth System Modelling and other partners in the Global Organization for Earth System Science Portals (GO-ESSP). Finally, the authors thank IPMA, I.P. for the observational data provided for this work.